i don't know any history on this bike, i bought it as a none runner. Done some basic checks, compression, spark etc. Washed and cleaned the carb set it up by default according to the manual i found here. First attempt in kicking it ended up with braking the kickstarter shaft. Fixed it and second attempt ended in braking my foot. The engine back fires so much it's unbelievable. I adjusted the ignition to the most retarded, in hopes that it would lessen the precombustion. Took the bike on a hill to push start it and it tried firing but with horrible noises and everytime it would try to start the wheel would try to rotate in reverse. The engine wants to run in revere?? Can the ignition be too advanced? I checked the woodruff key, seemed to be in locaton. 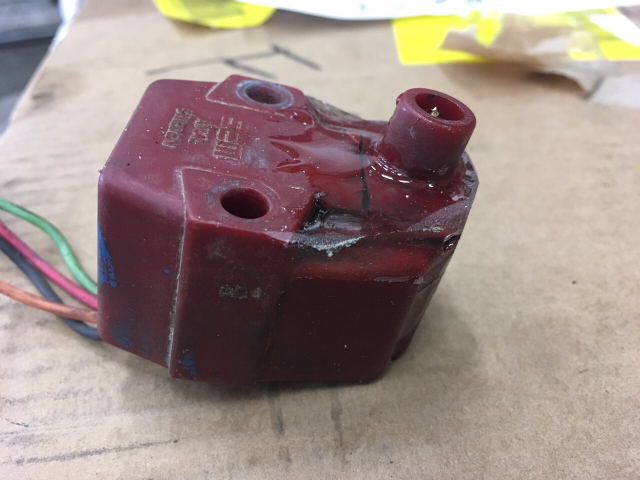 Can it be a faulty ignition coil/module? Also noticed the engine is hard to turn while piston is travelling downwards. 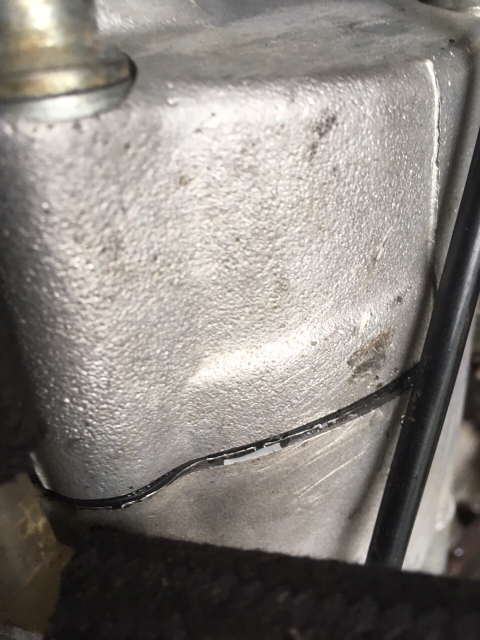 Could it be valve timing issue? 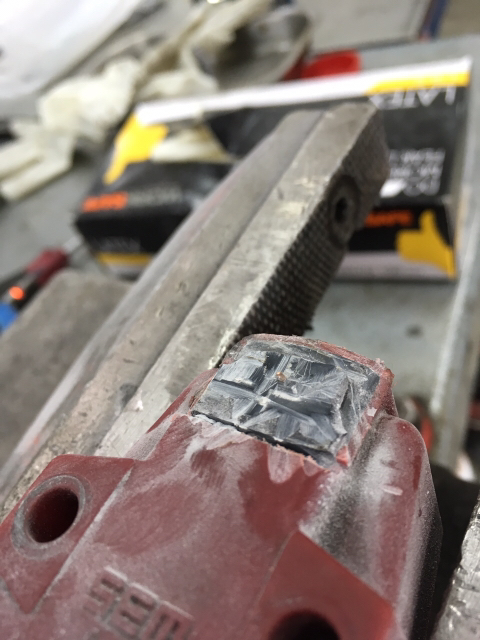 make sure a 6.5mm drill bit shank can go under the carb slide. set the ignition to 2/3rds retarded. try yet another new plug. check for a wet plug. if wet then get another plug! tow it behind a car in 4th gear. use a footrest and be careful! The valve timing is a little tricky on these gen 1 motors. I would venture a guess that someone timed in a couple of teeth off. Been a bit busy lately, but found some time and thought i'll remove the engine and have a look what's inside, since i completely know nothing about it's history. Plus i wanted the engine having a clean look since it was all assembled with some ugly red silicone and also leaking oil. Also the piston seems like it was seized at some point, thought the cylinder looks ok.
Next step: wait for the new head gasket to arrive, get some new matching bolts. Do a clean assembly. Any tips on timing the chain? Sending good vibes I think this is the 501 I was very tempted to buy but I think it's in much better hands now. So, finally got the new headgasket and more importantly found the time and strenght to start assembling the top end. Installed the cylinder and the head, torqued it up and then installed the valve timing and i set the cam lobes facing down. Haven't yet installed the rocker arm body. But now i was reading through the forum and some people say the lobes have to face upwards at TDC. Before i took it apart i think they were facing up and i thought maybe that's the problem why it didn't start and broke the kickstarter and after reading the forun i got paranoid that my ignition stator is fried eggs. Any thoughts gentlemen? Someone chime in if I'm wrong but whenever I've put one of these together, I set the piston at TDC, bolted the head on, set the cam in with the lobes facing down and the cam retainer bolts aligned with the top surface of the head once the chain was in place. This is now TDC on the compression stroke...as opposed to TDC on the exhaust stroke where both the intake and exhaust valves are open (lobes facing up). On this point it really doesn't matter because (and here's where I could be wrong) the ignition fires at both the intake and the exhaust stroke. It's just easier to bolt the cam cover down when you're not fighting to compress valve springs. Hi all! 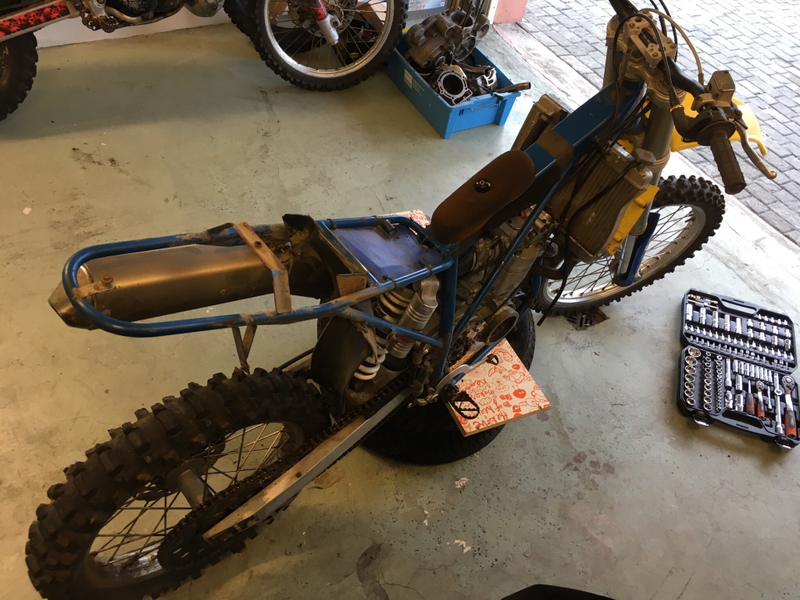 So the bike is coming together as it should and while i´m at it i can´t stop but to think about the starting of it. Generally i´m concerned about the kickstarter breaking of again due to the miss firing. I was reading through the forum and got an impression that a faulty stator might be a problem. So i was thinking about a plan b and buying a KTM conversion. I wasn´t sure which stator to buy as there are two types ST5500L and ST5410L; which one will fit the ignition coil cdi the bike has now. 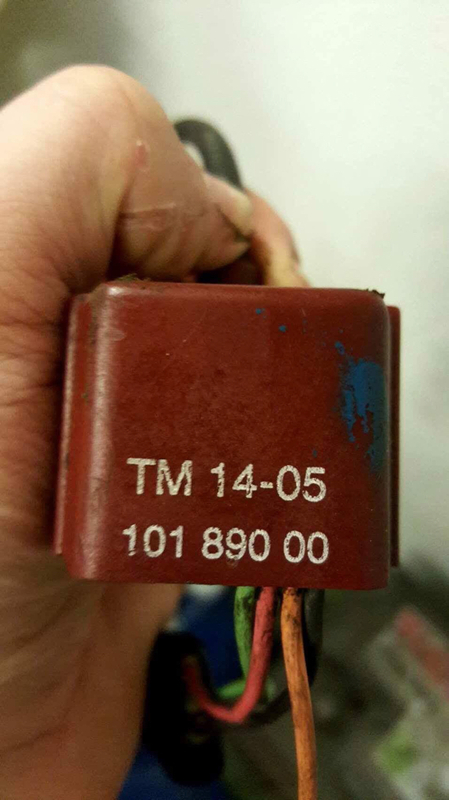 Currently it´s a TM14-05 101 890 00 with a pre 99 (according to resistance measurments) stator. Also i noticed the threaded needle in the HT exit is loose. The one you screw HT wire on. So i guess i´ll need a new cdi too. Anyone know what matches what? Anyways really want to hear it make a noise so going to tow start it, wish me luck guys! Last edited by Povas92; June 29th, 2017 at 04:03 PM. I may be able to fix thatb coil, certainly the later coils i can. up to you. I haven't found another coil that will do. if the stator shows the right resistence you must continue with it. retard the ignition nearly to the end of its adjustment slots and try from there. retarded is good. the dell orto carb is a major problem with all Husabergs that have them. they wear out important components. As soon as the engine makes a pop it stalls the rear wheel so a technique of clutch and decompress lever was combined- towing with the decomp on, decomp off few strokes and targeting the clutch to leave the engine free so it would overturn. After vigorous attempts i succeeded and the engine started. It didn't run good, feels like poor ignition and AF mixture. Anyways some progress has been done, i promptly removed the engine to fix the leaking head and found the exhaust pipes full of water and petrol so apparently water did enter the cilinder. While the engine is waiting i already fixed the Ignition coil. Somehow still can't shake off the idea that the ignition is too advanced. 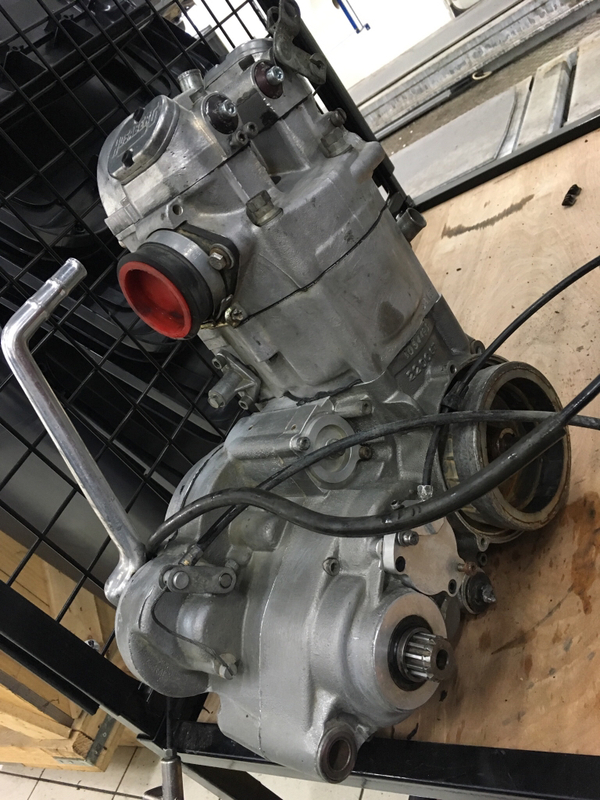 I've got a second engine in a box and it's an older type of engine with the stator being mounted on the block. What if my ignition came from the old engine? Are they identical? Last edited by Povas92; July 7th, 2017 at 08:21 AM.